On the contrary, we have seen how gun registration – in every single country studied – consistently generates the same consequences. The 1989 murder of Assistant Commissioner Colin Winchester. At the time of Assistant Commissioner Colin Winchester’s death he was heavily involved in a complex and long-running investigation into the Mafia controlled production and distribution of cannabis. On the evening of January 10th 1989, as he was parking his car, he was shot twice in the head at very close range with a .22 Ruger 10/22 rifle. Police attempted to call in every registered .22 Ruger 10/22 rifle – and succeeded with 60,000 of them – for forensic examination. None of them matched the murder bullets. Extracting details of those 10/22 rifles from a manual card system with millions of entries. Contacting the registered owners to try to confirm current ownership and whereabouts. Arranging for collection and delivery to forensic laboratories. Forensically testing the rifles. Returning the rifles to their owners. Naturally, all those 10/22 rifles that had never entered the registration system, as well as those for which the record cards were missing or did not contain accurate address details were not examined. The author has never seen a published police estimate of the total cost of this procedure. His crude estimate is that it would likely have cost an average of at least AUD$300 per rifle; if so, the total cost would have been about AUD$18 million. Once more, a major focus was applied to the type of rifle used, the Ruger 10/22. 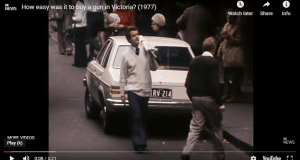 Possibly not trusting the registration system, perhaps through the lack of useful results from the similar Winchester investigation, despite the huge investment of resources that had gone into it, this time the police placed multiple advertisements throughout Australia. Nothing of use came out of these efforts either. The murderer, Ivan Milat, was eventually identified and convicted in 1996 very largely as a result of the evidence following the realisation that a 1993 report by a young British hitchhiker, Paul Onions, of an attack on him in 1990, might provide vital information. We have considered the history of gun registration in New Zealand, the state of Victoria in Australia, New York City, the whole of the US and, most recently, Canada. In Canada we have seen how the Liberal federal government poured more than C$2.7 billion into its long-gun registry between 1995 and 2010 without producing any identifiable benefits of any sort, before the new Conservative government was able to get agreement to close it earlier this year. We are painfully familiar with the tendency in all governments to regard the taxpayer’s pocket as an inexhaustible ‘magic money tree’ with which to feed egos, distribute largesse to their favourite groups and pursue irrational fantasies. But familiarity should not breed sad resignation – we should never abandon demanding evidence of real benefits arising from government expenditure. Previously we looked in some detail at the 1961 murder of housewife Juliet Rowe by Keith Rose in Devon, England, using a Colt ‘Woodsman’ .22 pistol. 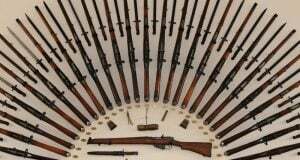 It was rather a grim illustration of how the very existence of a huge database of gun-registration numbers, collected for more than 60 years – at considerable cost and inconvenience to honest gun owners – led police to consume additional, huge resources in a fruitless, nationwide search for all registered Cold ‘Woodsman’ .22 pistols in every police force in the British Isles. That process would have consumed hundreds of hours, and all without producing any useful information of any sort – only a further vast quantity of useless data, which probably helped to cloud those lines of investigation that might have been fertile. Rose had passed through the hands of the police in 1981 but, perhaps because police resources were stretched by considering the data from all over the UK on registered pistols, he received little attention. He was only caught eight years later through the alertness of the victim’s husband and a fingerprint he had left at the scene of the crime. The media often give the impression that the vast quantity of police resource sometimes allocated to the resolution of high-profile crimes is, in and of itself, deserving of congratulation. I suggest that that perception is unsound. I suggest that it is the successful application of skill and judgement in selecting those lines of inquiry that actually lead to the solution of the crime, that warrant society’s thanks and compliments. But Britain and Canada are far from alone in their record of sustained waste in this area. It is the norm, while the courage shown by New Zealand and Canada in belatedly ending most of the waste is very rare. Indeed for many years and unholy alliance of dictatorships and ‘big government’ countries at the UN who broadly share a belief that only Big Brother should have guns, not private citizens and have been trying to conclude an Arms Trade Treaty (ATT) that would require every country to waste even larger amounts of resource on registration procedures…. 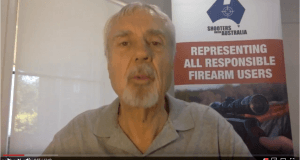 “Three things are necessary for a firearms registration system to be effective.